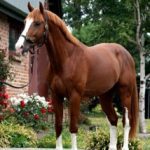 “Outstanding stallion, for both competition and breeding. 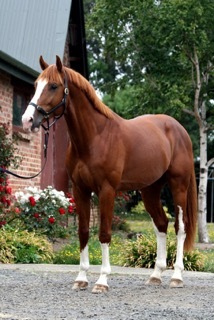 2004, 170cm, chestnut stallion by the legendary Heartbreaker out of a Hamlet (sire of Hickstead) x Ramiro Z mare. 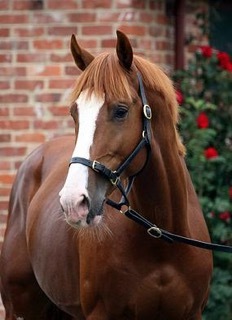 3/4 brother to Heartbeat (by Heartbreaker out of Elly by Ramiro Z), 2014 Danish Warmblood Stallion of the Year. 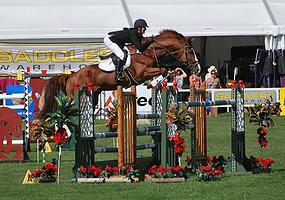 Euro Sport Heartbreaker has competed with wins to 1.50m and has definite World Cup potential. ES Heartbreaker has demonstrated his fantastic temperament in all respects. 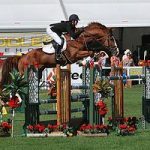 He is ridden solely in a snaffle bit and has never worn or been competed in any performance enhancing boots. 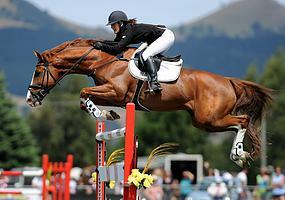 Euro Sport Heartbreaker’s dam sire is the international 1.60m Show Jumper, Hamlet. 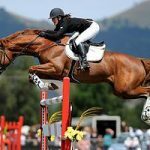 Most famous of his offspring is the former World No.1 ranked Show Jumper, 2008 Olympic Show Jumping Individual Gold & Team Silver medalist, Hickstead. Euro Sport Heartbreaker is a true Heartbreaker son with superb temperament, elasticity, scope, courage and beauty. 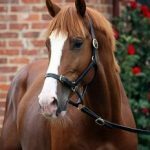 We believe his world-class attributes make him a stand out sport horse producer.